The question is whether opening the Park Canal would attract lots more boats to visit Limerick from the upper reaches from the Shannon (or even from the estuary). I do not believe that it would and, even if it did, I don’t think it would be a good investment. The prospect of navigating a mile of canal, with restricted views, followed by a mile of river — with nothing to do at the far end but to turn around and come back — is not, I suggest, sufficient to entice boaters to overcome the difficulties of reaching Limerick. 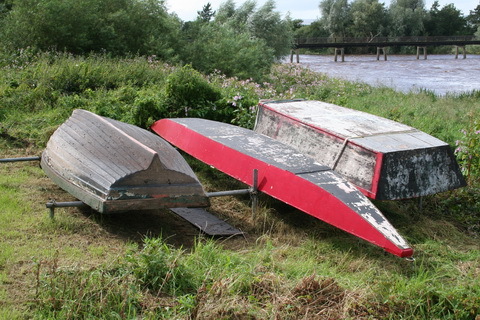 Anyone who really wants a trip on a canal can use the Royal, the Grand or the Shannon–Erne Waterway. There are some anoraks who would want to navigate any newly opened stretch so that they could tick it off their lists, but there are relatively few of them. It should also be noted that it would not necessarily be easy to get in to the canal harbour from the Abbey River. 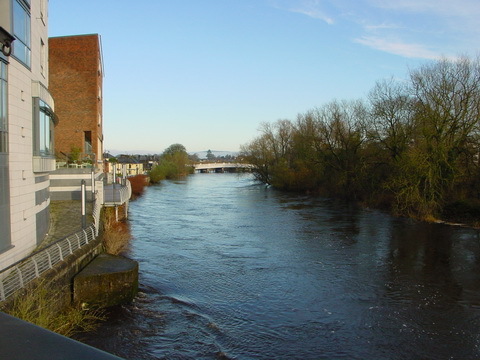 When the new route through Ardnacrusha was opened, the Grand Canal Company at first refused to use it, and transferred goods to rail at Killaloe instead, because it thought the passage down through the new O’Dwyer’s Bridge, with a sharp left into the lock for the canal harbour, was too dangerous. It was only after much negotiation that the service was resumed; the safety precautions introduced seem to have included a boom across the river upstream of Baal’s Bridge and bollards along the banks of the Abbey River (I’d like to know more about them). 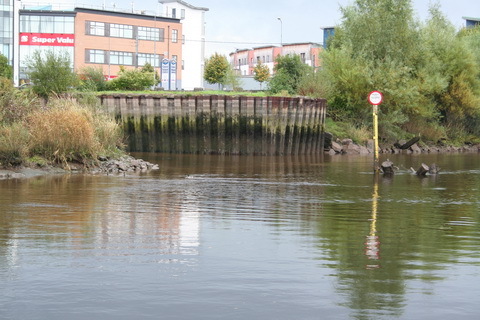 Ranks, incidentally, built a jetty above O’Dwyer’s Bridge and used road transport between there and their mills at the docks: their boats did not have to risk the lower reaches of the Abbey River (again, I would welcome more information about this). It might be that careful timing would allow boats to make the sharp left turn into the canal harbour while on their way downstream, but some might prefer to moor first at the Custom House and then approach the canal heading upstream. There is a further problem, though: the considerable silting that occurs outside the canal harbour. Shortly after the new weir was built, a boat going downstream, and lining up carefully for the arch of Abbey Bridge, ran aground on the silt. 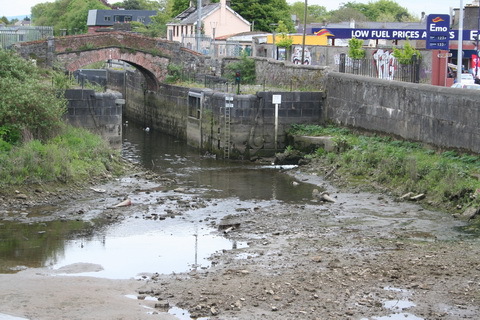 It has just been dredged (December 2011), but it is likely to need constant monitoring and dredging to ensure that there is enough water to get into the canal. In any case, both entry to and exit from the canal would be dependent on the tide, which might mean an overnight stay in the canal harbour. Can the security of boats be guaranteed? Incidentally, the same applies to the suggestion in the Park Canal Restoration Project Part 8 Design Report (January 2005) that there might be a “Possible future extended basin with berthing and associated facilities” above Park Lock: I see no way of guaranteeing the security of boats berthed there. Finally, there is no benefit to the taxpayer in providing access to the Park Canal for visiting motor-cruisers. The income from lock fees, €1.50 per lock, is derisory, and there is nowhere at Plassey, or en route, for boaters to spend their money. There is thus no point in the taxpayers’ investing in restoration. Councillor McLoughlin said that the amenity of the Park Canal would benefit the local community as well as tourists. The simplest way of catering for that demand would be to install a slipway such that small boats could be launched and retrieved. However, policing would also be required to ensure that the banks were not damaged by speeding boats and that the place did not become a racetrack for jetskis. It might be best therefore to restrict the area to unpowered vessels, especially traditional boats such as cots. 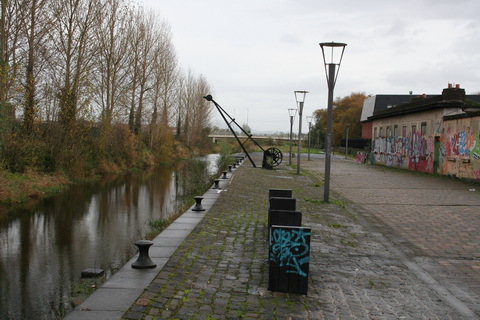 Hello, my name is Patrick Rath and my Design groupd are conducting a plan for restoring the Park Canal in order to improve the navigation through the shannon. Our route is from Park canal leading into the plassey and up as far as Newtown where there is to be a new canal (approx 900m long) to be constructed. 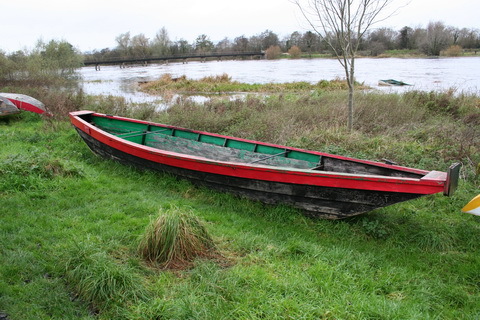 This will include a boatlift which will link the Ardnacrusha headrace (River Martin) to the plassey. We have very little information on the park canal and the plassey regarding dimensions and water levels. Could you help? Sorry I forgot to mention our design group is MEng group of Queens Univeristy. The design only conceptual.